About Me | Here's to Life! WANT TO………….. do things that I have always dreamed of but never got around to doing. My thoughts, memories, dreams, fears, passion, are all within the pages of this blog for my loved ones — and for you, my dear readers. Life is precious and we only have ONE. Let us live it fully, led by Divine inspiration — to make an impact on others and be a catalyst for something better. wow ! you’re really a wonderful writer, keep soaring ! I am trying to find out more about Carmello Cortez. My husband received a rose petal. Does he have a webpage? Please share what you know. My dear Lou! I am so, so happy you dropped by my blog. Now I know your email address, I can contact you directly. Let’s keep in touch! I kinda miss having you and Bella around to chat with…. Drop by my site often and let me know how things are over at your end too! Hi, Jane — Nice reading your blogs. It’s the techno version of that old book we kept at cag where anyone can write just about anything. 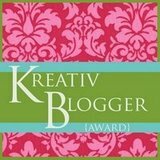 Keep on blogging…………. Wow, Vanj! Thanks for reminding me of that CAG scrapbook we used to have. Come to think of it….WHAT EVER HAPPENED TO THAT ONE? I wish someone kept it and in one of our reunions, we can flip through the pages and laugh over our private jokes once again….hahahaha. Glad to have had you drop by my blog. Let’s keep in touch! Jane, thanks for dropping by my blog and letting me know of your presence. You’ll be seeing me here more often, too — I’m loving this site! **Jun** – ooh you’re so thoughtful. thanks for the site link. i went to it and already bookmarked it. Hey Mom. I’ve made an account here too. Hopefully a more mature blog than my personal livejournal one. Jane: Hi there, my Dresden doll. Nice to see you’ve found a home in WP too. Happy blogging! To Ms Jane: Cheers to your 2nd life! To Others: Life is short, dont make it shorter! btw why do you hate flying ? So great to find your blog! Now I have to read it all! Jane: Kathleen! How wonderful to have you drop by. Please keep in touch. I miss you much already! Jane: My dearest Kathleen, I miss you much. Please look me up when you come to Manila (and I hope that is very soon!). Let’s catch up on the years we were apart! Nice meeting you @ the Belo Bloggers, Ms. Jane. 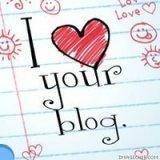 I love your blog.. so full of wit and sincerity =) Will surely come back to read more and add you to my blogroll. Keep on Sharing and God Bless! Jane: Yolynn, thank you so much for the encouragement and for dropping by. God bless you too! I notice you have a lot of queries regarding kefir. Just to let you know, we are the one producing cultured pure kefir in our home town in Bukidnon. I have it shipped by air every other day. Any need arises, you can contact me at 4408987, 0915-9281982 or email: kefirpower.marbon@gmail.com…. I’m so grateful through this product our family has changed so many KEFIR ADVOCATES’ lives. Their testimony of being healthy and getting healed of illnesses, gave us more strength to reach out for a healthy life and well-being of others… As a member of the Kefir Family, I strongly campaign for Wellness and Longevity the Natural Simple Way! Your blogs are so inspiring. Please continue you good work. Wishing you all the best things in life. Cheers Ms. Jane! @KC: Wishing you the best too. Hope we meet again. It was lovely to meet you earlier this week at the EB with Keng. Learned quite a bit (plurk?) and was encouraged to finally start yoga. I am so glad to have had the chance to attend that EB and meet all the other wonderful mom bloggers out there. I hope to make more time for these in the future. hello there.. I accidentally bumped into your blog while i was browsing the net.. Its be 3 days since i 1st dropped by.. and now i visit your site everytime im online. I love your blog.. Truly inspiring. I’ve just met one of what I may call mentors in the blogging industry. And I bet you got lots of fans checking out your site to be updated with your latest articles i believe. I will be coming back and will definitely read more of your posts. it’s my first time to browse your blog and i find it so inspiring..keep up the good work. @ikeng – Hi there. Thank you for visiting and I am glad you like it. Your words are very inspiring and I hope to keep blogging to share my thoughts with you all. Happy holidays! you have a craft in writing.. keep it up.. saw your blog when i searched for benjamin button quotable quotes.. my friend told me I am like him, and I got curious..
@Shina – Hi Shina. It was such a pleasure to meet you. Hope we see each other again soon. met you at cafe romulo last week with british council..
thanks for coming yesterday.. i was trying to look for you infacebook.. my biggest addiction.. wala ka pala.. anyway i shall try to follow your blogs thru this site..
if you wanna giive me some other tips on blogs- kasi am very new to this blogging thing- please let me know..
@bong – Thank you for the kind words and for stopping by my blog. It was nice meeting you. Keep on blogging. Some things are not taught. Your passion for blogging will take care of it. I’m a 21 yr old girl from Singapore who happened to come across your blog and by chance is starting off her career as an an accountant too. I must say that your entries are very inspiring. It motivates me to continue to learn and grow whenever i see a woman figure who is both successful in her career and at home. 🙂 Keep in Touch! @Netti – Hello! I wish you all the best in your career as well as on your whole life ahead. Make the most of it! This is a voice from the past! I was a former SGVian, left for US to go to graduate school and has been living in Northern California. I finally caught up with you, all because of yoga. Constant back pain forces me to practice yoga. It has alleviated my pain and I am now a true believer of the physical aspect of it. Keep in touch. Do you have a personal email account? Hi Jane! Finally I was able to visit your blog. I also have site at wordpress although I don’t update it that often. It covers sports that I love doing. Nice to read some of the comment too, like that one about the CAG logbook! We had used portions of the 60th Anniversary vid we saw on YouTube for an enrichment we gave for WWME couples and had wondered whom to ask permission from (hope we don’t land in prison for copyright infringement) and thank for for it. It was just appropriately warm for our talk; the production and the people in it. Anyway, we’re confessing to you hoping for a lighter sentence. This is some site you have, good writing, interesting variety, highly culture while plainly simple, and much more..
@NonoyDel – Thank you for visiting my blog. I am just happy that the amateur video of my girl and her cousin somehow inspired other married couples. That was just a compilation of family videos. Your words inspire me to be an even better blogger. I do try to keep all my blogs positive, family-appropriate and values-centered. God bless you.